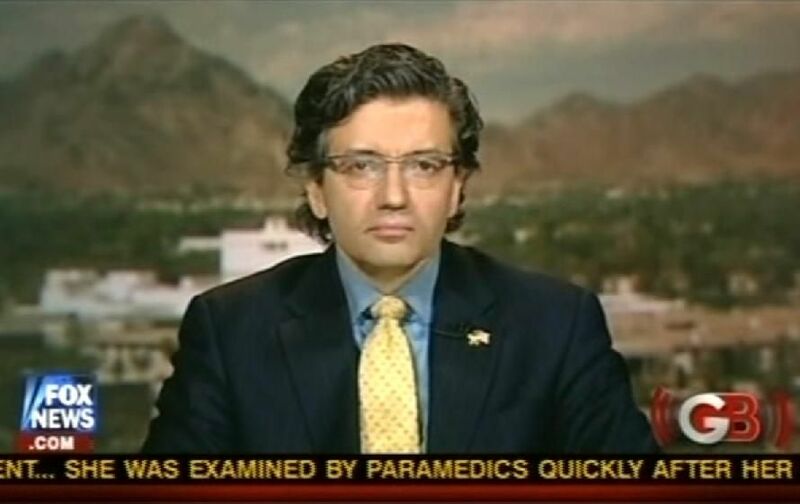 Who Is Zuhdi Jasser, Star Witness For Rep. Peter King's Muslim Radicalization Hearings? Rep. Peter King (R-NY), chair of the House Committee on Homeland Security, has officially scheduled the committee's already infamous hearings on "the extent of radicalization in the American Muslim community and that community's response" for next Thursday morning, March 10. King has called three witnesses for the hearing, none of which has any expertise in terrorism, law enforcement or homeland security. The first will be Dr. M. Zuhdi Jasser, a physician by trade who moonlights as a self-described "expert in the contest of ideas against Political Islam." The others are two unnamed "American Muslims with family members who became radicalized." The testimony of the latter two will be anecdotal in nature, so a great deal of weight will be given to Jasser's testimony as the only "expert" fielded before the committee. With no relevant credentials to speak of, Jasser's authority in conservative circles as an "expert on radical Islam" seems to be derived from his willingness to frequently attack the Obama administration (whose terrorism advisor Jasser says "deserves honorary membership in the Muslim Brotherhood") and Muslim-American civil rights groups ("front organizations" for the Muslim Brotherhood, according to Jasser). Jasser is also conspicuous in his willingness to appear on Fox News to mitigate the effects of their pundits' anti-Islamic rhetoric. After Fox host Bill O'Reilly went on The View and declared that "Muslims killed us on 9-11," triggering a walk-off of the show's hosts, he turned to Jasser, who declared that he was "absolutely not" offended by O'Reilly's comments and actually thanked the Fox host for making them. Likewise, after NPR fired Juan Williams for his own controversial comments about Muslims, Fox hosted Jasser, who was again "absolutely not" offended. Given these facts, it should be no surprise that Fox News' Glenn Beck has dubbed him the "one Muslim that we were all searching for after 9-11" and said he is "a voice that I trust." Jasser has appeared on Beck's show to provide "expert" validation of Beck's zany apocalyptic conspiracies in the wake of recent unrest in the Middle East. Before members of Congress rely on the testimony of this so-called "expert" to help shape policy, they should take the time to learn more about Jasser's credentials and agenda. Unfortunately, between his right-wing rhetoric and his close relationship with Glenn Beck and other right-wing media figures, King's key witness seems neither credible nor objective — and neither, as a result, do these hearings. Click here to learn more about Jasser's background and right-wing rhetoric. Click here to learn more about Jasser's status as Glenn Beck's Favorite Muslim.